The Hanau-based Heraeus precious metals and technology Group in 2011 once again surpassed the previous year's record results, tallying the most successful year in the company's history. This was announced by the Heraeus Holding GmbH Board of Management at a press conference on annual results held in Frankfurt on May 10. With product revenues of €4.8 billion, Heraeus surpassed the previous year's level by 19 percent. Operating results (EBIT) also increased by 23 percent to reach a total of €489 million. Precious metals trading revenue reached €21.3 billion, topping the €20 billion threshold for the first time. This represents an increase of 19 percent over the previous year's level. "Heraeus is well positioned. With our diversified business portfolio and innovations, we once again achieved growth across all seven business groups in 2011," said Dr. Frank Heinricht, Chairman of the Heraeus Holding GmbH Board of Management, as he summarized the business developments of the past year. Over the past financial year, Heraeus increased its after-tax earnings (net income) by 21 percent over the previous year, to €315 million (2010: €260 million). Cash flow from operating activities increased significantly over the previous year to €311 million. A key factor here was the attainment of net income targets. Relative to 2010, shareholders' equity increased by 14 percent to a total of €2.2 billion. The Group's equity-to-assets ratio now stands at 55 percent. "Our net assets, financial position, and earnings position form a very solid foundation on which we will actively continue to build our businesses," noted Jan Rinnert, CFO of Heraeus Holding GmbH and Vice Chairman of the Board of Management. "In this way, we support further growth and ensure our company's long-term success." Investments in property, plant, and equipment totaled €105 million in 2011, well above the previous year's level (2010: €73 million). "Our investment activities support organic growth in promising business segments and attractive regions," explained Jan Rinnert. This was focused on building and expanding production capacity, for example in products for the photovoltaic industry, and on supporting growth in Asia. At the same time, Heraeus solidified its position through acquisitions, though this avenue was pursued less intensely than in the previous year. The dental products business segment expanded its activities in the CAD/CAM technology sector with the takeover of Bio Medi Face S.A., Switzerland. Heraeus Precious Metals increased its stake in joint venture Argor-Heraeus S.A. of Switzerland to 31.2 percent. As of December 31, 2011, Heraeus employed a workforce of 13,323 worldwide, an increase of 392, or 3 percent, over the same period the year before. 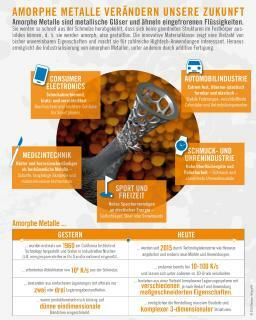 During the reporting year, Heraeus added 356 new jobs in Germany and 36 in foreign Heraeus companies. In Germany, personnel expansion essentially involved hiring Heraeus interns (85 employees) and formerly part-time workers (119 employees). The precious metals business group (Heraeus Precious Metals) continued its positive course and posted another record result in 2011. Product revenues climbed 35 percent over the previous year. Key factors in these developments were continued strong demand from industry and consistently high precious metal prices. The photovoltaics business segment, among others, drove growth. The materials and technologies business group (Heraeus Materials Technology) increased product revenues by ten percent in the reporting year, largely due to high demand from the automobile industry, positive developments in the semiconductor market, and a good economic climate in Asia. As a result, the business group posted record revenues for the second year in a row. 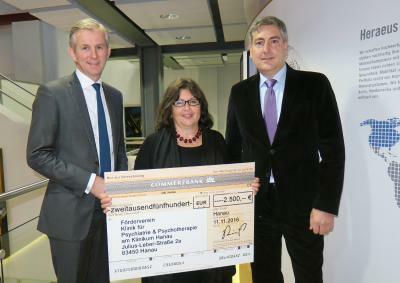 The revenues of the sensors business group (Heraeus Electro-Nite) increased by nine percent in 2011. Growth was driven by a positive trend in the global steel market. Business in the dental products business group (Heraeus Dental) held steady at the level of the previous year. The trend toward digitalization continues. Losses in revenue for traditional consumables were offset by new revenue growth, particularly in digital prosthetics. 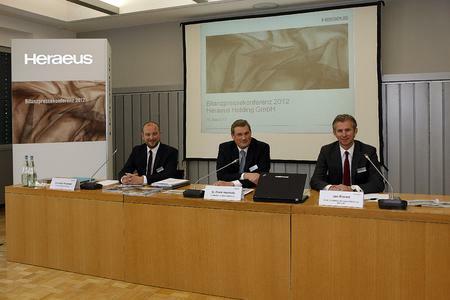 The biomaterials and medical products business group (Heraeus Medical) also contributed to the positive development experienced during financial year 2011. Revenues here climbed once again, up 12 percent thanks in particular to the further expansion of sales activities, for example in Asia. The quartz glass business group (Heraeus Quarzglas) maintained its upward trajectory with a revenue increase of 25 percent over the previous year. The business group profited from continued high demand in all markets and expanded its global market leadership on the strength of optimized cost structures and new products. The specialty light sources business group (Heraeus Noblelight) attained a record level by increasing product revenues four percent. Exceptional growth rates early in the reporting year were the primary driver. "After two record years in a row, our focus in this financial year is on maintaining our revenues and earnings at this high level. The first quarter was a good start," noted Dr. Frank Heinricht. Particularly in the automotive electronics, telecommunications, medicine, steel, semiconductor and environmental technology industries, Heraeus plans to further develop its business over the long term. Regionally, we are focusing on further growth in Asia, especially in China.